shots from the first week | eat. play. sleep. This week has been a review week – letters, sounds, numbers. 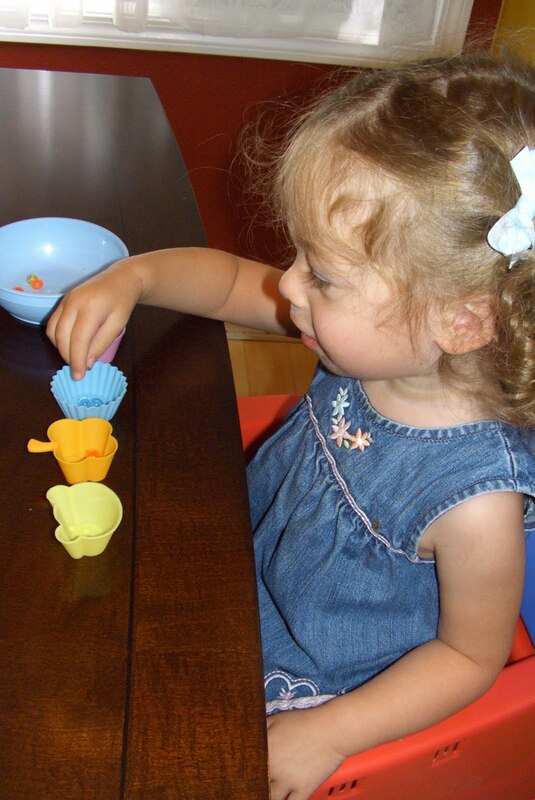 Here’s Ava playing number bingo. I found a set at Lakeshore Learning, but I’m cheap – I just drew my own! 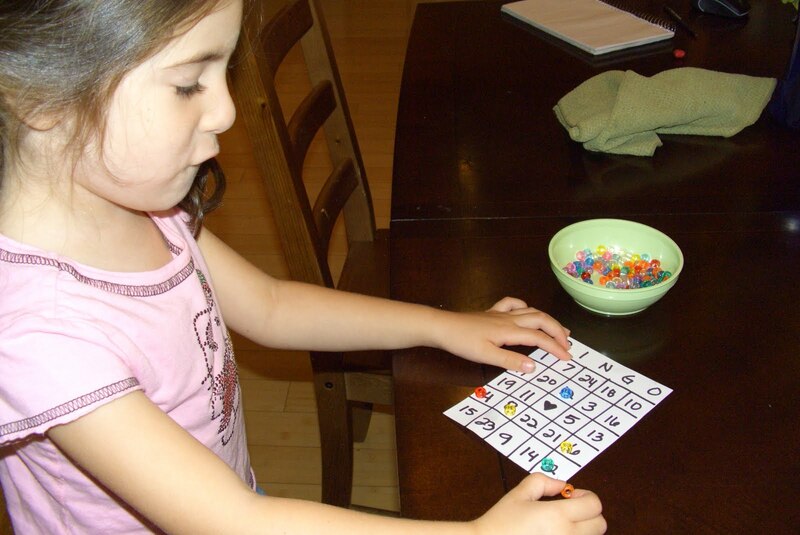 While Ava and I were playing bingo, Emily worked on sorting beads by color. She got them all correct too! I don’t remember Ava knowing her colors this early. 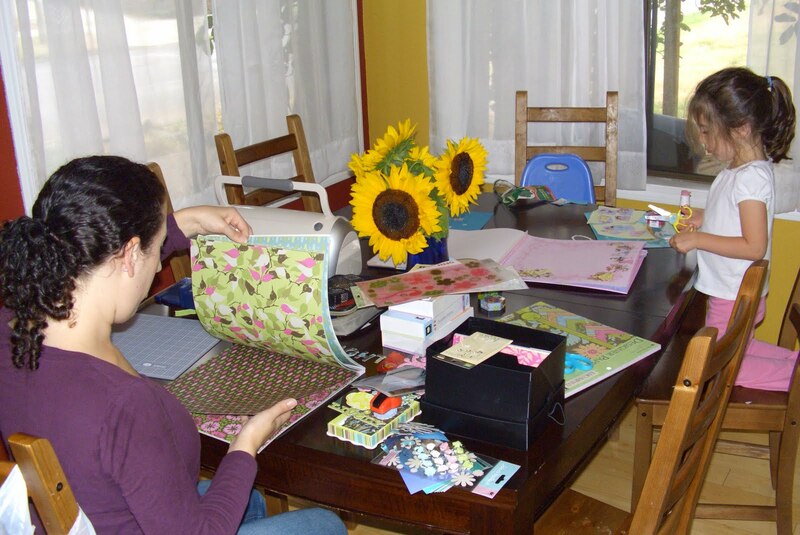 Ava and I had some craft time too – we scrapbooked together. She got to really work on her cutting skills by using the leftover Disney stuff I had from doing the album for our vacation last summer. I actually got a few pages completed (and can I just say…LOVE that Amy Butler does paper crafting supplies!! ).